Because I suspect almost no one else will, let me congratulate three associate justices of California's Third District Court of Appeal—M. Kathleen Butz, Cole Blease, William J. Murray, Jr.—for knowing an unconstitutional abuse of executive power when they see it. On January 24 they affirmed an earlier trial court decision declaring that state Controller John Chiang has no authority to dock the Legislature's pay for failing to pass a budget he judges to be unbalanced, as he did in 2011. "Where the Legislature is the entity acting indisputably within its fundamental constitutional jurisdiction to enact what it designates as a balanced budget, the Controller does not have audit authority to determine whether the budget bill is in fact balanced..." Justice Butz wrote for the court. "As a result, the Controller is not a party to the enactment of the budget bill." The decision should come as no surprise. Anyone who bothered to look at the state constitution could see it did not give Chiang the monarchal authority he asserted in 2011 (a category that excludes, alas, most of the state's pundits, who cheered the controller's abuse of power). The appeals court ruling echoes the analysis I offered at the time: that Proposition 25, which provides for docking legislators' pay if they fail to pass a timely budget, does not give the controller any power to second-guess whether a passed budget is balanced; that the constitution grants the Legislature sole authority for determining projected budget revenues; that the governor's line-item veto power on spending is the executive check on legislative fiscal irresponsibility. By clarifying the law today, the court has spared California much future anguish. Had it affirmed Chiang's claim of power, it would have added more opportunity for political mischief and grandstanding by future controllers to an already absurd system of budgeting. 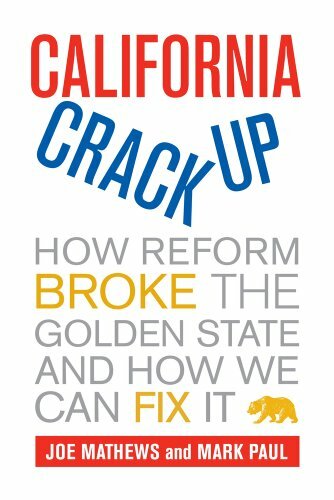 In California, it counts as a victory for good government whenever a court knocks down an attempt to make things worse.